My goal with this series of recipes is to provide people with simple, gluten-free recipes that can be easily incorporated into a rotation diet. 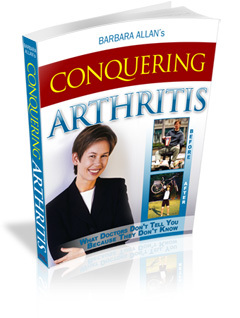 This is important for healing arthritis because people often have 100 or more food sensitivities. Avoiding these and rotating their safe foods can be challenging, especially if they also have a gluten sensitivity, which about half of my clients do. In many gluten-free recipes and pre-made foods, a variety of gluten-free flours are combined to create a product similar to one made of wheat flour. While this may sound appealing, cooking and eating this way on a restricted diet makes it nearly impossible to rotate foods. To heal arthritis, it is imperative to rotate safe foods or the foods that were once safe will become problem foods from overexposure. With these requirements in mind, I’ve created gluten-free recipes with minimal ingredients. For these pancakes, I used only buckwheat flour, sea salt, water, and oil. Although buckwheat flour is gluten free, be sure to procure it from a source that has not been processed in the same facility as wheat or your flour will be contaminated with gluten. Sea salt is best because it is non-allergenic and contains no hidden allergens (unlike table salt). The oil in this recipe is used only to coat the pan so the pancakes don’t stick. Select an oil that is safe for you. If sunflower seeds are safe for you, you can use sunflower. Like wise, if corn is safe, use corn oil. What is labeled vegetable oil is actually soy oil, so only use this oil for cooking if soy is safe for you. Grape seed oil is a healthy oil to use. Peanut oil is another option if that is safe for you. Olive oil is the healthiest oil to use because it is high in omega 9, heart healthy, and doesn’t contribute to inflammation. There are many other oils you can choose from or, if dairy isn’t a problem, you can use butter. The most important thing is that you avoid your problem foods. Mix buckwheat flour and salt in a medium-sized mixing bowl. Add water slowly and stir in. Keep adding water until batter is thick, but fluid. Pour enough oil into pan to coat. Spoon batter into pan to make silver dollar size pancakes (Buckwheat doesn’t stick together like wheat because it doesn’t contain gluten: make pancakes small so they’ll stay together). As cakes stop bubbling, flip (they will fall apart if flipped too early). Note: Use a well seasoned caste iron or ceramic pan to avoid heavy metal poisoning. Aluminum and Teflon coated pans are not chemically stable at high heats. High levels of metal toxicity can contribute to autoimmune disease, like rheumatoid arthritis. 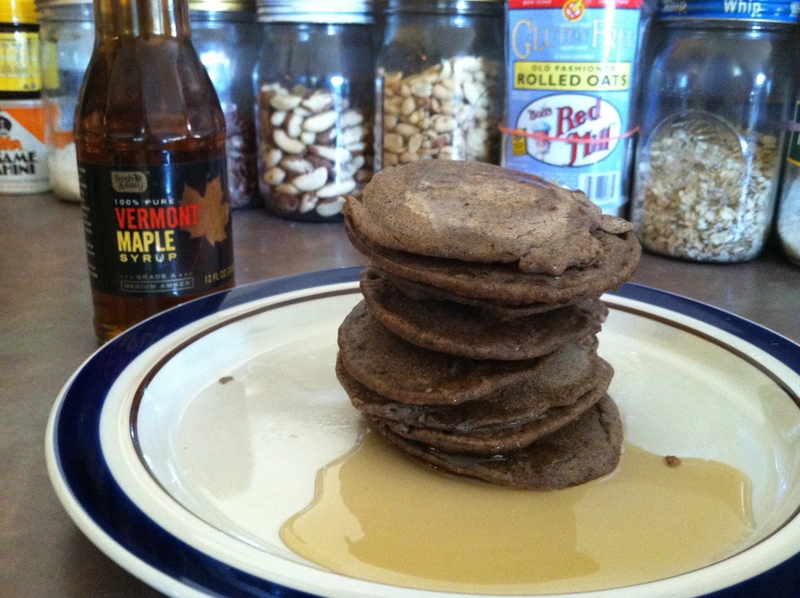 Because I used straight buckwheat flour, these pancakes have a strong earthy flavor. I like to eat them just like regular pancakes with syrup and other sweet things, but, if you have a problem with yeast or sugary things, they are also very good with savory toppings. Strong flavors, like ferments, compliment and mask the buckwheat flavor. These would be very tasty with something like sauerkraut or kimchi. This may seem strange to think about sauerkraut or kimchi for breakfast, but if you’re thinking about a gourmet lunch or dinner, fermented toppings might sound more appealing. You could also use these pancakes as sandwich bread if you’re missing bread from your diet. And they freeze well too. So long as you have a dedicated gluten-free toaster, you can toast frozen pancakes for a quick snack (a separate toaster is only necessary if other people in your home are using it to toast gluten-containing breads). If you discover another scrumptious, creative way to eat buckwheat pancakes, please post or send me your idea so I can share it with others.